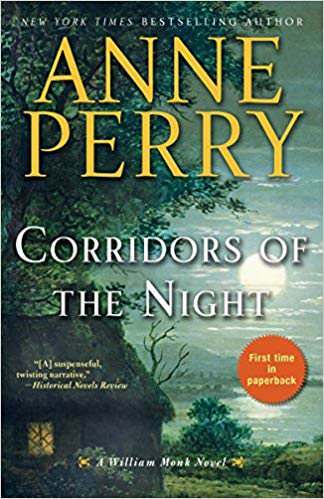 Corridors of the Night by Anne Perry. This book of the Monk series was pretty much all about Hester. 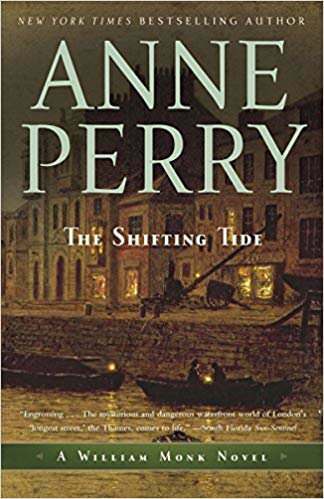 And as usual Anne Perry gives me an interesting and enjoyable read. A tiny bit historical in that it seems to have been the beginning of realizing blood transfusions. 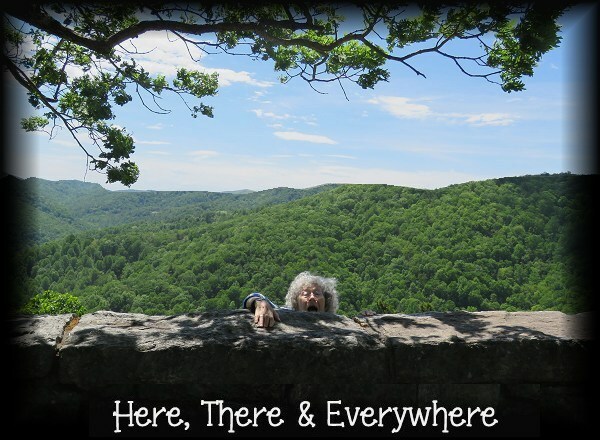 As always there is Murder and mystery involved with characters that call you back to learn more. 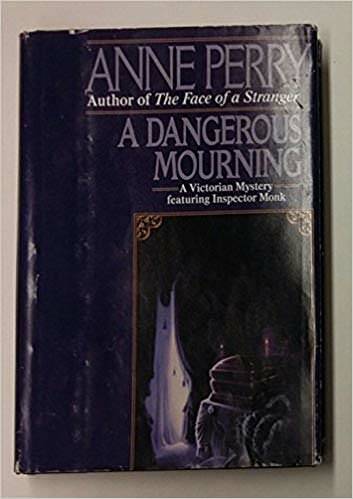 I am not usually a person who reads books of a prolific author (excluding Anne McCaffrey) but Anne Perry has certainly given my characters that I like to read about and wrapped them into good stories and good writing! 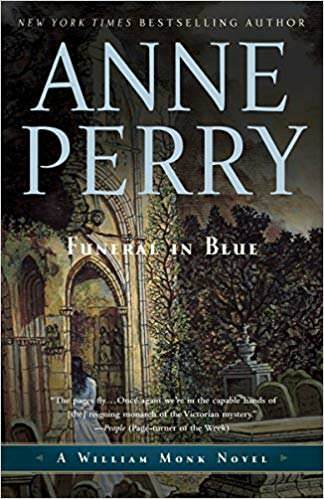 Funeral In Blue by Anne Perry. Two beautiful women have been found strangled in the studio of a well-known London artist. To investigator William Monk and his wife, Hester, the murders are a nightmare. One of the victims is the wife of Hester’s cherished colleague, surgeon Dr. Kristian Beck, a Viennese émigré who becomes the prime suspect. With an intensity born of desperation, the Monks seek evidence that will save Dr. Beck from the hangman. From London’s sinister slums to the crowded coffeehouses of Vienna, where embers of the revolution still burn in the hearts of freedom-loving men and women, Hester and Monk seek to penetrate not only the mystery of Elissa Beck’s death but the riddle of her life. I found a few books in the Monk series at The Friends of the Library. Just finished Funeral in Blue. It is another good read in the series. You will have a hard time figuring out the murderer in this one! You don't learn who it is until the very end! I have a few more Monk books so I will begin another tonight! I am not reading them "in order" but after the first two books, where you learn about Monk, I don't think it's necessary. So, if you have a chance to pick one up.. do it! 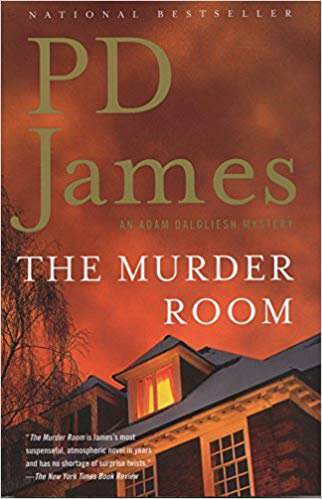 The Murder Room by P. D. James. Commander Adam Dalgliesh is already acquainted with the Dupayne--a museum dedicated to the interwar years, with a room celebrating the most notorious murders of that time--when he is called to investigate the killing of one of the family trustees. He soon discovers that the victim was seeking to close the museum against the wishes of the fellow trustees and the Dupayne's devoted staff. Everyone, it seems, has something to gain from the crime. When it becomes clear that the murderer has been inspired by the real-life crimes from the murder room--and is preparing to kill again--Dalgliesh knows that to solve this case he has to get into the mind of a ruthless killer. I thought for sure that this would be a good book for me. *sigh* It turned out not to my liking. But being a female I had to read it to see "who done it". For me there was more description of everyone and everything than there was about the who done it. Generally every so often you have a feeling of the culprit but not in this one. And I never felt it was because it was "so well written". I am sure for others it will be more enjoyed then it has for me. On a scale of 1-10 it was only a 4 for me.